Before we get into how mortgage fraud happens, we should probably define it. Mortgage fraud at application occurs when information is intentionally omitted or misrepresented on the 1003 loan application form. The victim of this crime is often the lender, as they get conned into funding riskier loans that are more likely to result in foreclosure. HOW DOES MORTGAGE FRAUD HAPPEN? There are various points throughout the lending process that fraud can occur, and some fraud tactics are more complex and harder to prevent than others. We’re going to outline a few of the most common schemes for defrauding lenders, as well as some steps to take to prevent it. As is commonly known, the debt-to-income ratio is a key factor in determining a borrower’s eligibility for a loan. In this scenario, a borrower or loan officer knowingly and wittingly omits debts in order to get approved or get their borrower approved for a loan. There are services through the three credit repositories that allow you to constantly monitor an applicant’s credit, enabling you to see any changes in their debt such as inquiries from other entities indicating large purchases, such as a car, a boat, or even another property. Also, consider reviewing the ROA (Record of Account) IRS transcript for any instances of installment payments to the IRS. While the ROA will not provide the balance or payment amount/schedule; it will identify the presence of the required IRS payment and better equip the underwriter to understand character and credit, 2 of the 3 “C’s” of credit. 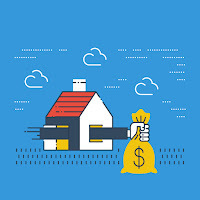 Income fraud occurs when a borrower or their loan officer falsifies information regarding income in order to qualify for a loan or a larger loan than they would have been approved for based on their true income. Typically, W2 forms and bank account statements are altered to create the appearance of an inflated income. Keep in mind, for assistance programs, such as state housing authorities, applicants are incentivized to falsely decrease their income to remain under income thresholds of the program. 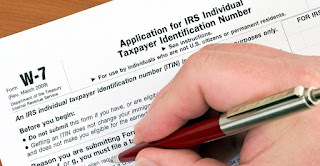 Obtaining IRS tax transcript data is a great verification strategy in preventing income fraud on an application. As an efficiency feature, NCS’ TRV Report displays the borrower’s supplied information against what the IRS reports and provides a comparison of the two data sources directly on the report. Additionally, the report will highlight any comparisons that show a discrepancy in the two reported figures. Employment fraud is closely related to income fraud in that the applicant’s ability to repay can be severely overestimated based on the borrower or loan officer falsifying employment records. This can happen when a borrower claims to be self-employed, employed by a non-existent company, or claims a higher position within an existing company in order to qualify for a loan. Just like with income verification, there are also employment verification services that are compliant with the GSEs (Fannie/Freddie). Utilizing a service like this is the best way to prevent employment fraud and rid your shop of a very time-consuming task in originating the loan. A good employment verification company can usually get your request and have results back to you within forty-eight hours. Additionally, it’s a good idea to consider outsourcing your VOEs to a vendor. 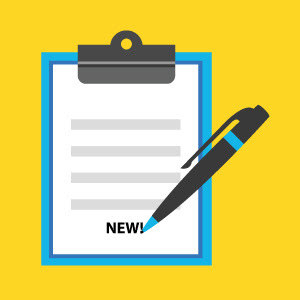 By utilizing a vendor, your firm only pays for the VOEs requested. With an in-house staff performing VOEs, it remains a fixed cost that does not fluctuate whether you’re flush with volume or operating in a slow month. You may not be able to prevent every type of mortgage fraud, but if you implement the strategies outlined here, you can reduce the fraud risk of your firm. The services mentioned will help, but you should always remain vigilant. Consider attending conferences, such as the MBA’s Risk Management & Quality Assurance Conference this September. In following articles, we’ll dig deeper into several income and identity frauds to vet how many of these frauds are perpetrated upon lenders. Have additional tips regarding mortgage fraud? Share with the NCS community what your firm is doing to better prepare for fraud attacks in our comments section below! Want more information on preventing mortgage fraud? Contact us today! The victim for mortgage fraud may technically be the lender, but I think it would be the recipient of the loan in a way as well. Lying to get a loan that you aren't qualified for can't possibly be a good idea and will only result in them being under water sometime down the line. I don't know why someone would do something so dumb.